Rival factions across the galaxy now have another weapon in their arsenals today as diplomacy and trade – along with a new playable race, the Krynn – are now available as part of Stardock’s first major content update for the Galactic Civilizations III beta. The beta is currently available for $44.99 as part of Steam Early Access. Diplomacy provides space emperors and empresses the opportunity to find common ground with rivals or enforce a United Planets embargo, providing further depth to gameplay and altering how players pursue ultimate rule over the galaxy. 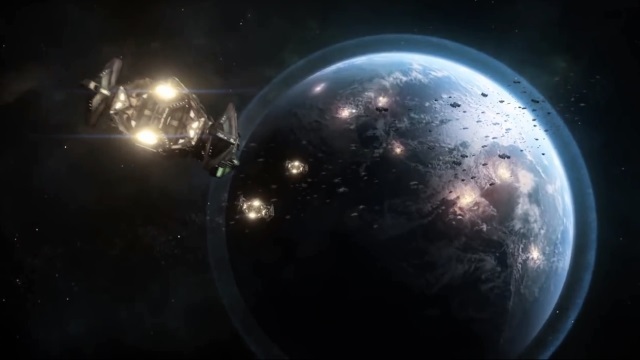 Trading is also included in today’s patch, so players have a good reason to make friends – although goods passing through trade routes are subject to…aggressive renegotiation of their ownership should a hostile warfleet happen by. Another faction joins the race to dominate the galaxy today as well. The Krynn are a conglomeration of species whose government is comfortably in the pocket of organized crime, and who enjoy healthy boosts in spreading their “protective” influence around the galaxy as well as a leg up in keeping their own populace content – or at least well-behaved. For more on Galactic Civilizations III, tune into the livestream every Friday at 3pm Eastern time at www.twitch.tv/stardock or visit www.galciv3.com.